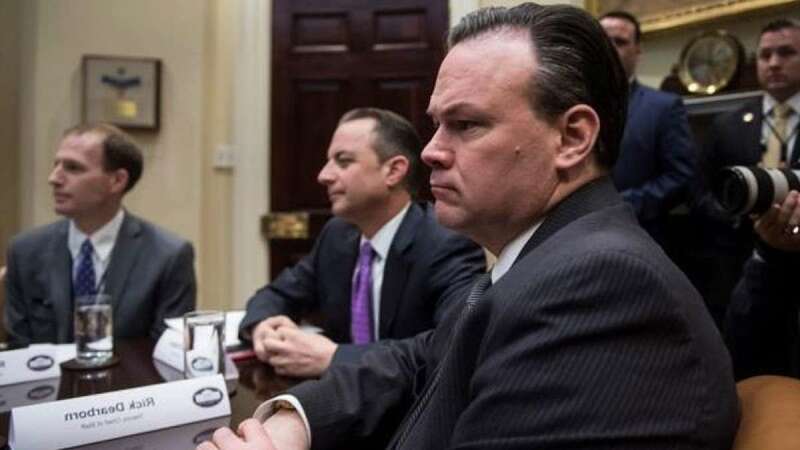 Washington : One of US President Donald Trump's top aides, Deputy Chief of Staff Rick Dearborn, will step down early next year to pursue private sector work, White House officials said. He becomes the latest high profile departure from the West Wing as Trump nears his one-year mark in office. Dearborn will remain at the White House for the first month or two of next year, the Wall Street Journal cited officials familiar with the planning as saying. "Rick loyally served the President for two and a half years and brought tremendous energy to the White House staff," White House Chief of Staff John Kelly said. "He's a super guy and it breaks my heart to see him leave, but I look forward to his continued personal friendship and support for the President's agenda." Dearborn oversaw the White House's political operation, public outreach and legislative affairs. He viewed the passage of the GOP tax bill as a "finale" for his work in the West Wing, the Journal reported on Thursday. Dearborn also served as executive director of the President's transition team following his election win. His decision comes after the White House announced earlier this month that Trump's deputy National Security Adviser Dina Powell would leave in early 2018.